Amplify your business value, optimize your expenses by making use of Volia experience. 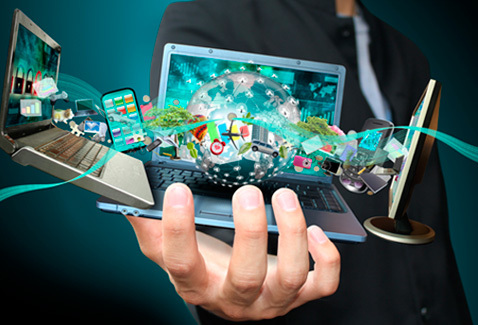 Custom software development ensures that your competitive advantages are supported in the best way. Partnering with custom software development professionals will keep you safe with delivery of quality software on time and within budget. Whether you need to integrate or customize products you are using, Volia has great experience of quick understanding of the products involved, and developing reliable integration links between the systems, whether it is real time or schedule based, behind the firewall or via the Internet. Would you like to decrease burden of repeatable testing software delivered by the development teams, Volia offers comprehensive service of automated and manual quality control of the deliverables. This will save valuable time of client’s business domain experts on acceptance testing, will shorten release cycle, and will help to increase level of the end users’ satisfaction. Our highly qualified network and system administrators can help your organization to tune security and performance of your servers and networks. Application, System and Network setup, optimization, management and hosting. Volia offers high quality reliable service of remotely supporting running applications, operating systems and networks for our clients. We work with issues resolution, scheduled maintenance, setup, routine automation and manual work. We deliver support service on clients' hardware or on our own hardware in the first class datacenters where we share discounts we have by offering our clients cost efficient plans. 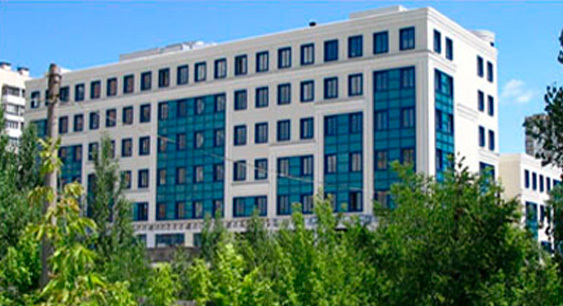 Several IT companies trusted Volia to develop their products. We invite you to build a long-term synergy with Volia. Volia has great experience of developing software products for both established companies and startups. 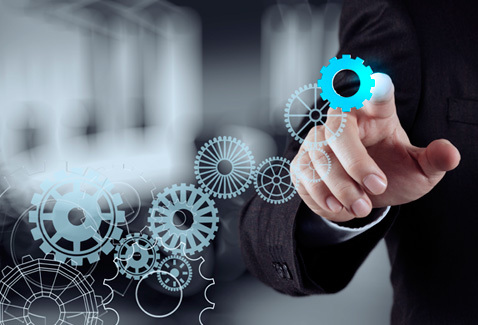 We offer clients comfortable and seamless connection to standard Volia development process, servers and tools infrastructure, or would be glad to adapt to client's processes and tools. This guarantees concentration of mutual efforts on quality and on-time delivery within budget. Business application framework makes applications robust and easily extendable by separating infrastructure components and services from business components. Volia has great experience of building application frameworks that support security, configurability, metadata, scalability, upgrades without interruption of running application system, monitoring, maintenance, business rules and other services. Software developers of the Product companies can better spend their time developing new features for their products rather than developing customizations or product integrations targeting just one client. Volia has all the resources, experience, process and tools to quickly understand the product integration and customization points and techniques, and cost efficiently develop customizations for your clients. Product companies will get happy clients who will not have to wait in the queue for customizations to be done, and will turn customizations/integrations requests from unfortunate distraction to an additional source of revenue. Would you like to decrease burden of repeatable testing software delivered by the development teams, Volia offers comprehensive service of automated and manual quality control of the deliverables. This will save valuable time of client’s business domain experts on acceptance testing, will shorten release cycle, and will help to increase level of the end users’ satisfaction. Volia offers product certification service based on our test lab hardware infrastructure consisting of Sun Sparc, IBM Power64, HP PA-Risc64, HP Itanium, Opteron and x86 servers. Volia offers cost efficient service of massive testing of alpha releases of products by dozens of users. With Volia engineers you will become a captain of a strong crew and multiply your outcome. Empower yourself with Volia Power Developer Program. Volia is happy to work with several IT consultants who now get five times more work from their clients, and deliver quality results much faster. Now they can concentrate on gathering and managing requirements, working on acceptance of the results, and having good time of building great and beneficial relationships with their happy clients. Want to make sure you used the best solution for your client? Want to impress client with high quality code? Want to rip client's reward for outstanding architecture? Connect to Volia Code Review and Architecture Development service. You have just finished development of application for your client. Call to learn how you can both bring good value to your client and get revenue stream for yourself by arranging for Volia your client's application hosting and management. Experienced staff, strong leadership, constant communication, predictable results. Our advantage is the unique combination of quality, cost, and service our clients receive. Technically “fearless”, and highly knowledgeable, no task is too large, too small, or too complex. Our goal is to earn the opportunity to serve by proving ourselves every day. Founded in 2003 by ex-“Big 5” partners, Volia is a U.S. (Texas) company with engineers based in our Kiev, Ukraine development center. Problem: How to keep an edge in a highly competitive energy market? How to differentiate from average and conformity? Senior developers from Volia are part of the development team for a system that allows leaders in the energy business to maintain an edge in their sector. The system provides for the gathering, processing and secure distribution of information including expert and strategic insights to the global oil and gas industry. This information covers the complete path of products and services from concept to market. With such information decision makers are getting a clear and complete picture before deciding their course. To help them formulate timely and successful short-term and long-term business strategies and plans, there is a Strategic Planning module that has all the needed decision making support tools. Among other things, those tools help them to understand the driving forces affecting the upstream industry, price dynamics, and emerging trends and technologies. Exploration & Production - the evaluation of undeveloped and exploratory areas to estimate the potential of new opportunities. Match choices of investment to strategic objective. Managing risks and rewards requires the right information and tools. Engineering & Construction - Design, build and maintain plants and facilities that are efficient, safe and in compliance with the world’s most predominant engineering and design standards, building codes, specifications, and product/supplier information. Midstream & Downstream - Predicting demand and delivering oil & gas profitably to end-markets are two ongoing challenges. EHS (Environmental, Health & Safety) & Sustainability - combining of software, data and expertise into a comprehensive suite of sustainability management solutions to help decision makers assess and respond to emerging issues, meet their company's global compliance obligations and convert business risk to opportunity. In the end, the system helps to achieve the difference between average and excellence operations, conformity and innovation, standing still or leapfrogging over the competition. Problem: In order for any business in Utilities to keep their leadership position, or at least not to fall behind, they need to have all the latest information and expertise regarding their industry. Strategic planners - for long-term business strategies and investment decisions and Market Analysts supply, demand and price drivers. Market analysis tools- Knowledge base is being constantly updated by a research team of more than 200 industry experts, covering power and utilities issues, from conventional to renewable, in every geographic region. Strategic planners in the energy industry- for more than a quarter-century the system has delivered in-depth analysis of market fundamentals and a thorough examination of the strategic issues that impact the power and utilities industry. Solutions and data for government allows one to stay on top of policy developments and requirements within the electric power industry at both local and national levels with in-depth knowledge and outlooks of power market fundamentals. There are cost estimation and minimization tools, market intelligence, technical standards, product information, and inventory optimization tools required for successful capital investment and efficient engineering and operations. For decades, the EHS and sustainability professionals have been serving organizations of all kinds and sizes worldwide. We were pioneers in the development of many sustainability information management solutions and continue to lead the way today with new innovations. Problem: What happens when a company (e.g., a financial institution) must support frequent communication with millions of customers? Writing individual letters to every customer would be prohibitive in terms of time and cost. Sending the same letter to everyone would be akin to spamming. Solution: Volia has experience building complex systems based on business rules defined by users via GUI. Metadata defines the user interface and client configured integration points with other systems. Volia also brings expertise with specific technologies driving the generation of PDF and HTML documents. Working closely with our client, we built a Content Management System (CMS) and a CRM system fully integrated with the document generation technology. Through the CRM, a marketing specialist may select the target audience for communication from millions of customers, based on hundreds of parameters, just in few minutes. Next the CMS system, based on hundreds of data elements associated with each customer and the business rules and parameters configured inside the CMS feed the content delivery tools to generate and deliver highly personalized messages to each and every customer. Companies using the system can target literally every single customer with personalized messages and at the same time keep regular communication with all of the millions of their clients without increase to the marketing staff. Global chemical data, benchmarking, forecasts, analyses along with pricing, standards, engineering, supply chain management and sustainability solutions. Strategic planning from portfolio analysis to measuring the impact of economy fluctuations. Supply management for materials pricing, selection, inventory optimization, and compliance. Information and tools to support Engineering, Design and Construction. Environmental health, safety and sustainability solutions. Problem: With paper based work flow everything moved slowly; sometimes important things were being forgotten. Our client is an industry leader in the transportation of pipeline components. As all the workflow was paper based, every event took an excessive amount of time to be processed and responded to. Slow reaction time required a bigger stockpile to fulfill requests that came faster than documents could be manually processed. Some pipe-joints with defects were not discovered for a long time. Some components were even lost at times due to human error or document loss. There was also no way to track anything defective back through all the operations to the supplier. In order to ensure a smooth logistical flow of pipeline parts through each step of the shipping process from roadway to railway Volia developed a custom inventory system. It allowed the company to track delivery from beginning to end. In addition it allowed them to reduce the amount of paperwork tremendously. Instantly react to requests with accurate and timely information about stock at each point of storage, and about defects detected. Trace any item back to the supplier. Problem: A business needed their system to temporarily change its content during marketing campaigns but the software lacked any support for that feature. Our Volia team has developed a visual administrative tool that allows one to define which content should be replaced and with what; and assigns a schedule for that replacement. All this was done on the user interface level, without touching the business logic of the core system. The development involved a lot of sophisticated java script and jQuery development, plus server side logic for storing and managing alternative content. As a result the client received a new important function in their system, that could not otherwise be modernized, and a solution to a business problem they did not know how to resolve. Problem: Every teacher wants to learn and apply new things. How can they know if it makes the situation better or worse? Based on the best-selling book about performance of teachers, Volia developed a mobile application, adapted for both: iPhones and iPads. This application provides high-yield instructional practice that outdoes all other high-yield instructional practices. Appropriate for both the novice and master teacher, the application operates during the school day or conference periods over multiple sessions to ensure improved implementation of new practices. The application training provides teachers with the practical skills to significantly increase instructional rigor and relevance and serves as the foundation on which the continuous improvement of campus performance is built. Now every teacher can track whether or not a new practice they've implemented has improved teaching efficiency, how much and in what aspects. Problem: There are many teachers with great ideas and experience of how to teach students better. However there is no efficient technology to spread this experience and to help with implementation. Volia team developed a web system and a mobile application that allow a campus to collect objective data on the quality and frequency of teacher pedagogy in order to identify the practices that make the greatest positive impact on student performance for that particular campus. The mobile version is an App tool that allows the user to conduct a classroom observation using an iPad, iPhone or Android device even when a cellular or Wi-Fi connection is unavailable. It transfers all observations conducted, when an Internet connection becomes available. This technology enables one to efficiently spread great teaching experience not only throughout a campus, but also across a district and beyond. It also allows monitoring the progress of teachers and students in the process of implementing best practices. Problem: Helping children with severe speech impediments and other developmental disabilities to communicate easier with those who can help them, as well as with peers. Volia has developed a mobile application for iOS and Android devices to help children with speech impediments, and other developmental disabilities, to use an automated pre-recorded voice to communicate with peers, parents and other people. Most of these children have the ability to learn and use technology to assist them. The price for specialized devices for many people is prohibitive. So our solution was developed as an affordable alternative. The application was designed in cooperation with an expert at assisting disabled children. The goal was to create technology that would be very easy to learn and to use, and that would bring real help to children who have these challenges. The application allows the user to tap on an image of an item, action term, or phrase to verbalize the corresponding audio equivalent. The application comes preloaded with a default library of categories that makes it easy to navigate as well as terms and actions that are ready to use. It also allows one to create additional categories and terms, load images, record custom voice notes, create chains of terms and actions for frequently used phrases. Redesign of a website for a company which provides pre-construction and construction services. Problem: When clients search for a construction service provider for a modern building, they expect that provider to look modern. What if their web site is too old and looks so? Volia did a redesign of the site and implemented it on the production server. Now a modern company that does modern construction, does look that way - and on the web too! An on-court tennis scoring system that transmits players' scores live over the internet. Problem: My daughter is at a tennis match, I'm at home. Can I track her score? Volia developed a system that does just that. Coaches, parents and fans have the ability to view players' scores in real time at change overs on computers from the comfort of home or while they’re on the move via their cellular device. The current score can be viewed on a score board on a court's side. Users don't need to wait to see the score posted later in the day or get a phone call or text. Just follow the matches in progress with live updates or notifications to their cell phone. There is a possibility from the web site to see entire teams match scores in the palm of your hand and know the score on each court, plus the team score. This mobile application also features a function to input results of matches in live mode, to display them and even to hear by synthesized speech. Problem: A new cool smart watch device could bring great value. However they aren’t designed for large data transfer volumes. Our client is a recognized world leader in the sports industry, providing professional and recreational athletes access to thousands and thousands of digital assets and innovative hardware across platforms, including a sports watch. Volia helped develop a mobile solution that provides communication between iOS or Android smart phones and sports watches via Bluetooth Low Energy (BLTE) protocol. This allows relevant data to be transferred into a smartwatch, synchronize user accounts, and display statistical information along with other important data. To work for an extended period of time on a single charge, the smart watch uses the energy saving BLTE protocol. The problem is that the protocol is not designed to transmit the large data volumes required by the smart watch solution. Upon completion of development, testing revealed the solution only operated satisfactorily with small amounts of data. When we tried to move the larger volume required it was unacceptably slow. The Volia team had to think "outside the box", implementing a number of innovative techniques, In the end the solution met all expectations. 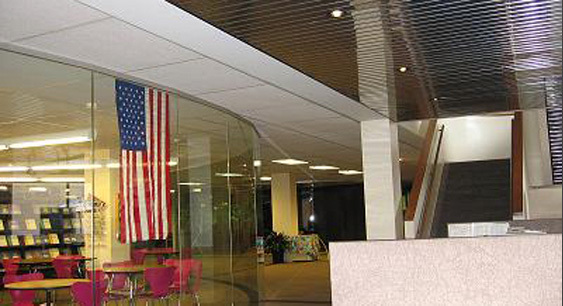 A Volia team developed ten RFID applications for use by the US government and businesses. Problem: What if your assets are getting moved around all the time, and at any moment you need to know where they are? How else can RFID help in real life? Accounting & Finance: enables true cost control and audit-proof inventory. Improves asset accounting with customized and ad hoc reports of asset locations, trends, status, and history. IT: supports life cycle management and scale more efficiently. Facilities & Security: protects critical information on devices (a hard drive removal monitoring). All systems have web components and mobile component which allow access to critical data in nearly any location; making for extremely flexible usage. Is it too complex to be responsive? Highly responsive systems and completely dynamic solutions based on interpreted metadata are commonly considered to be contradictory requirements. Your brilliant analysts propose a most advanced design for the next release, but the dev team dashes the dream with unappetizing time and budget estimates. Market leaders must protect their gold. Code to spec or achieve the business goals? When clients ask us to do something, we want to understand the business drivers first. And if we have input toward a better solution, we make suggestions. Continuous cost or temporary help? When vendor teams require specific expertise, adding a rarely used capability on full time bases often comes at a prohibitive cost. On a Friday night a client realized that the new “must have” feature will not be available the next Monday without loading production data into the DB. "This is not our problem." We do everything we can to help clients achieve their goals. Should we back up the school bus? In our view, the more senior developers (i.e., architect level), the better. Each vendor has their own ratio, and for Volia fully 40% of Volia software developers are of a senior level. Commercial Off the Shelf (COTS) products are especially complex to optimize when system performance becomes unacceptable. Out of the box solution fails to address all your needs? What to do if a flexible and configurable ‘out of the box’ system still does not fulfill all of the business needs? What if you were asked to document and deploy a component that was half developed and all the configuration data was hardcoded? The system must be highly flexible, configurable from the core data structure to the business logic to the user interface - all driven by metadata and custom business rules. Will it take ages for the user to see a system response? Maybe. If the implementation team is an ordinary one. In our case we engineered a Single Page Architecture GUI supported by an optimized data layer based on stored procedures. The middle tier implemented cached security, extension components, flexible external interfaces, and other services. Our team developed a clear and tested architecture that, when reused, yields a complex, flexible, and configurable system that is highly responsive. Architecture framework reuse and an “all senior” development team allowed us to complete a project with “contradicting” requirements in a relatively short time frame. A marketing organization wanted a sophisticated, rules driven Content Management System sending customized, polished, and personal letters to literally millions of end customers. The CMS had to support instant audience selection, a hierarchy of inherited document templates, smart data load from the business support system, and document content generation based on business rules and personal data of the end customer. The system had to be very flexible and configurable, yet at the same time very responsive. Deadlines were dictated by a large end customer who required this “next big thing.” To our client, the deadline sounded absolutely unrealistic. We were certain we could do it on time and on budget. A productive team of all seniors is smaller in size than traditional team. This decreases communication overhead. Such an experienced team does not require code reviews, close supervision, repetitive requirements explanation, and no rework for sub-optimal solutions. A senior team produces an order of magnitude fewer bugs which drastically shortens the time between code complete and the production release. An all senior team efficiently applies advanced architecture (which may be hard to understand for middle level developers) that decreases the amount of custom code. The Volia team completed the highly risky and complex task on time and within budget. Our client is a leader in the technology industry. Its might is based on a huge database of digitized assets acquired over many years and at great investment. Innovative, thoughtful, and creative, the client needed to augmented their teams to support the high pace new product development. Volia was selected as a software development partner to help address the challenge. However, even when involving external partners the customer had to maintain a policy to protect the assets including highly valuable data, encryption methods, sophisticated security, and proprietary algorithms. A classical remote development approach simply was not going to work. But where there is a will there is a way. We created a number of protected virtual machines - "developer boxes" configured inside the client's network with limited, but sufficient access to the client's environment. In addition, our team members travelled onsite frequently to provide services around the more protected technology components. As a result, our client managed to speed up the new product release times significantly and create a new competitive edge in the marketplace. A longstanding Volia client sought off the shelf software to track assets in their pipe and joint logistics management business. Volia analyzed a variety of commercially available solutions. We even had our client meet with another customer to discuss a similarly architected product previously implemented. Ultimately, together, we determined a custom software solution would offer a better fit and a much lower overall cost of ownership. In this manner the client avoided annual maintenance costs, per seat license fees and complex agreements with a specialized software vendor. Additionally, the commercial options lacked required function and had usability problems. The custom solution provided the required functionality, offered usability tailored specifically to the experience and knowledge of field personnel. The solution offered mobile clients for field use supported by a web-based core and back office. In the end the client has a solution they like and own - all for a fraction of the cost of a package. It is well known that software quality is often determined by the level of expertise in the team that created it. Activities such as architecture design, R&D to determine solutions to complex problems, performance optimization, and even test case development and testing of complicated technology may be better if delivered by the best people. But top expertise may not be required on a continual basis. If top performers are all assigned on a full time basis, though they might be needed only occasionally, the support cost is simply too high. So Volia implemented a more cost efficient configuration combining a core team with skills required full time with hourly access to rare skills that raise the overall team quality. Such an approach affords clients capabilities as if all of the skills are available inside the team, only much cheaper. Through utilization of our "flexible resource" service Volia clients save on overall team costs and have quality solutions to the complex issues that may appear from time to time. Ideally, the solution and release would have been planned end to end with the software development vendor. In this case, Volia was not involved in the process. Yet we care deeply about our clients, their obligations to third parties, and are passionate about a project’s success. Our team completed a complex project on time, as planned. The client’s client eagerly awaited solution delivery the following Monday. The important software was thoroughly tested, documented and deployed. The team went home for the weekend with a good feeling of accomplishment. Then the client's admins realized that their client used the previous version to fill in production data. For the new release the database structure required significant change. Writing and testing data transformation software would take significant time, especially when accounting for a very complex data structure. With no “Plan B” our client asked us if we could offer any solution to the problem. Our PM talked to the team and we said yes. The team determined, if staffed around the clock, it could manually merge the databases in a single weekend. And they did it. Both the client, and the client of our client were delighted to receive exactly what they expected. Developed a testing framework to quickly identify concrete issues with every new version of the protocol libraries. Organized a fast, repeatable process to test new versions of the protocol libraries. Supported a transparent process enabling our client to monitor progress and push the hardware vendor to correct bugs and resolve performance issues as timely as possible. Continually assessed our software in case accommodations were required. To meet the deadline, team members put aside evenings, vacations, and weekends to support the recovery and help save the overall project from a very costly failure. In the end, all hardware issues were resolved and the marketplace is enjoying a fantastic new product. Every team at Volia has enough senior level software developers to formulate great solutions, successfully resolve issues of any complexity, solve urgent issues in the shortest time frame, and find efficient solutions to virtually any challenge. At the same time, a balanced team structure and cost advantages allow Volia to deliver our services very competitively. Once the production data of a top tier financial company was loaded into the system, response time significantly degraded. The web forms used most frequently started taking 30 seconds and longer to open or to submit the data. Through analysis of the issue, we learned that many custom forms and fields were added to the system. Alone, this would not normally present an issue. However, combined with the fact the amount of production data was substantial, the customization caused performance to significantly degrade. Improving response times was problematic as the system had a complex undocumented database structure, undocumented configuration, and was an ‘off the shelf product’ from a different company. Then it got even worse. With such a large amount of data some of the business functions completely stopped working. Nevertheless, our “technically fearless” team accepted the challenge and committed themselves to optimizing the database layer in a manner that would not break the system. The goal was to improve the response time to an acceptable level while at the same time have all required business functions start working correctly regardless of the amount of production data. It took several weeks battling the issue before ending in victory for the client and the Volia team. We not only rewrote some of the database access scripts and reconfigured database tables, but also improved several of the business logic libraries, replacing them with custom developed ones. The system response time improved from 30 seconds or more to more palatable 3-7 seconds for the most frequently used forms, and all the business functions worked flawlessly. Given that the license agreement permits changes, is it possible to extend your out of the box system beyond its intended flexibility to meet all your needs? A Volia client implemented an online marketing system that was pretty flexible and configurable. However, the inherent flexibility was coupled with a number of critically important functions that were missing. The system provided no feature plug in capability or ability to configure missing functions. Our client asked us if we could think of a solution to the problem. The team responded “yes,” but only if we were allowed to decompile, reverse engineer, and modify the code. Once assured, our team decompiled the relevant DLLs, reverse engineered the database structure, and implemented required extensions by modifying and recompiling the source code and extending the database. Our client’s client received all of the desired functionality, our client was able to present an additional argument for selling the system with additional features to other clients, and in the end, the Volia team was proud of the results achieved. Participation in the refinement of the business idea. Definition of scope for the first prototype to test the market and/or technical proof of concept for complex and new solution components. Analysis of the required hosting infrastructure. Beta testing with groups of people. Configuration, monitoring, and support of the product in the production environment. Maintenance of the product in all the environments from development, to testing, to staging, and production. Transition to a new release of the system. IP protection is part of our culture, contracts, and engrained in our people from day one. We’ve never had the slightest issue since inception. But clients want to keep a competitive edge and do have concerns before engagement. They have a fast pace of product portfolio development, need help from software development vendors, require outside expertise and support, and still want to guarantee IP protection at the highest level. Often their market leading positions depend on specific algorithms, data, business logic, or even concepts implemented within their IT systems. Volia has a lot of “real life” experience doing just that. First we are a U.S. company so our customers know they have recourse. We’ve implemented physical security at times and distributed the development team on other occasions. For the latter example, each developer, or small group of developers, deals only with certain system components that are isolated via remote interfaces or stubs instead of a real API. In this way, the IP of the entire system is separated into smaller pieces and no single person or group has access to, or at times even an understanding of, the entire solution. In this manner, using the separation method described above, even clients most cautious about IP feel safe. Having earned a "fearless" title when it comes to issues of any technical complexity, Volia was asked to deploy a newly developed component that implemented the data exchange protocol between several complex systems into a staging environment. Additionally we were to develop deployment instructions for the client admins so they could deploy to production. Volia had not previously been involved at all in this task. Our client lost confidence in the original component developer. They worried it may never be completed. After spending a good amount of time trying to deploy it by themselves, the client also gave up. Instead of trying to repeat past unsuccessful efforts, our team did a source code review, analyzed requirements, and realized that the component was only partially developed. It did not contain fully half of the required features. Many of the configuration parameters were missing and the remainder was hard coded. There was no way to deploy, even to have it perform minimal functions in any environment other than the environment of the developer. Following our review, Volia was granted the project to create a “real” integration component. We gathered the missing requirements (quite significant), developed it correctly, and deployed successfully, with deployment instructions for the client's staging environment. Craig Phillips is Volia Software’s Chief Executive Officer. 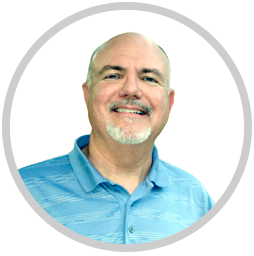 He has more than 25 years of experience working closely with clients helping companies improve performance through information systems planning, development, and integration. As a former Ernst & Young Partner and Cap Gemini Ernst & Young Vice President, he led the Energy, Utilities, and Chemicals Technology practice and provided Information Management leadership for the company. 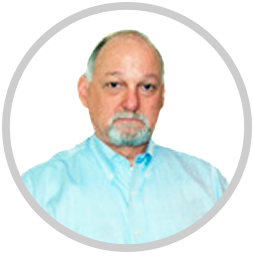 He is experienced serving clients across industries including commercial software, oil & gas, utilities, and consumer products. Mr. Phillips helped found Volia Software in 2003 serving first as its COO, then CEO in 2008. He double majored in management and economics at Rice University. Mr. Makarenko is Vice President of European Operations, Ukraine. 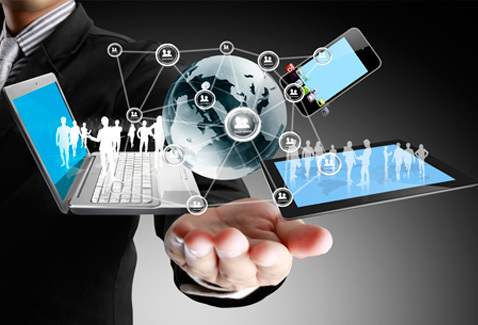 He develops and operates software development services delivery for USA and other countries. He also leads business development, sales and marketing efforts for European region. With more than 25 years in consulting and management, his breadth of experience encompasses a wide variety of technologies, software development processes and business domains across many industries. He has an MS degree in engineering and Executive MBA. Mr. Hunter is Board Member of Volia Software. 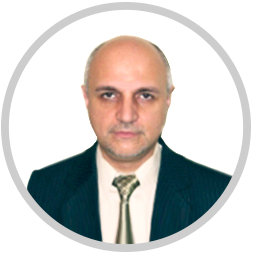 He has over twenty years' experience in implementation and management of computer systems, organizational and process design, and business change. 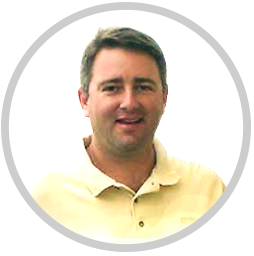 Most of his consulting experience has been in large-scale (100+ effort-years) custom systems development projects. He was formerly a Partner at Ernst & Young and a Vice President of Capgemini, where he led the Electric Power Restructuring Practice. Mr. Hunter’s industry focus is in energy, utilities, and health care. He has a bachelor’s degree in mathematics and an MBA.